The word on the street is that maybe - just maybe - a "critically-acclaimed Star Wars RPG" is on its way to the iPad. An Aspyr Media newsletter sent out yesterday to subscribers may have given them a little more insight into the company's plans than it intended. It was an ad for a "Memorial Day Madness" sale featuring a half-price deal on Call of Duty: Black Ops 2 and its DLC, but the header above it referred to something entirely different, stating, "The critically-acclaimed Star Wars RPG is now available on iPad." According to IGN, to whom a copy of the email was sent, that can mean only one thing: KOTOR. Why that particular game? For one thing, Aspyr is the company that ported Knights of the Old Republic to the Mac; it's also got a couple of games of its own on the App Store, most recently Sushi Mushi, so it obviously knows its way around iOS. IGN also claims that the email jibes with other KOTOR-related rumors it's heard, and let us not forget that it wouldn't be the first hit BioWare RPG to make the move to the platform: Baldur's Gate made a very successful mobile transition late last year. Finally, there's this one very simple question: What else would it be? 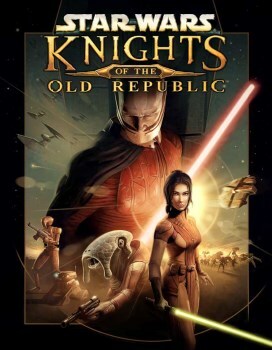 We all have our favorites but if you ask gamers to name an acclaimed Star Wars RPG, the one that's going to come up far and away the most often is Knights of the Old Republic. It's a solid idea - KOTOR is well-remembered and tuning it up for the iPad would be a good way to squeeze out some fresh revenue without having to actually, you know, come up with a new idea - and re-releasing one of the best Star Wars games ever made on a new platform would certainly seem to fit with Disney's long-term plans to revive and monetize the franchise. It's still a leap, yes, but it doesn't sound entirely unreasonable - and that's why they call 'em rumors.